The Sign Center: Banners, Signs, Engraving, and more! We can custom cut your vinyl lettering, logos or clip art. Sizes range from 1/4 inch high up to 4 feet in one piece. Larger jobs can be cut in panels. We can work from your digital file, scan from a hardcopy or choose from our own large selection of fonts and clipart. Our Designers can add special effects to your text to make it more attractive. Choose from Shadow, Curved, Outlined, or any number of others. We work with many types of vinyl for different applications. 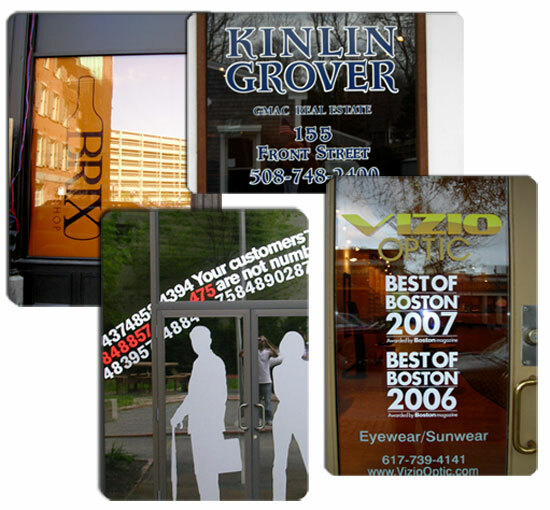 Including Reflective, Translucent, Etched, Metallic, Fluorescent, 23K Gold-Leaf Vinyl, 5 / 7 / 10 Year Outdoor Durability. Save money and time by installing the vinyl graphics yourself, or we can install them for you.